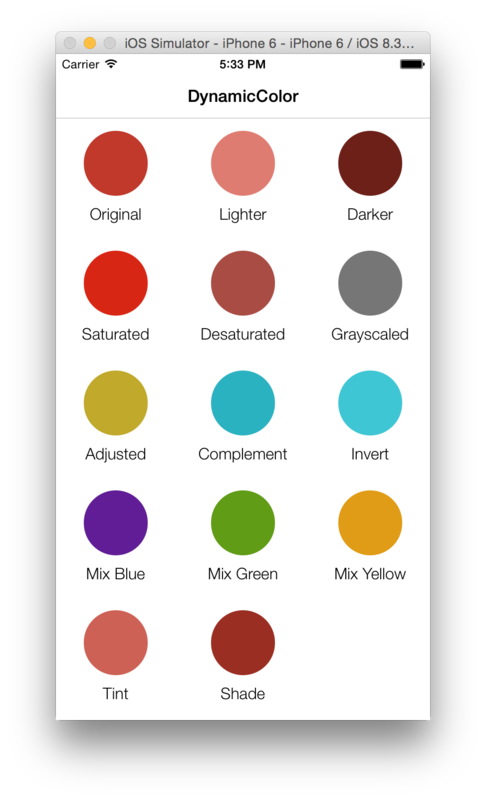 DynamicColor provides powerful methods to manipulate colors in an easy way in Swift. These two create a new color by adjusting the lightness of the receiver. You have to use a value between 0 and 1. These will adjust the saturation of the color object, much like darkened and lighter adjusted the lightness. Again, you need to use a value between 0 and 1. These adjust the hue value of the color in the same way like the others do. Again, it takes a value between 0 and 1 to update the value. A tint is the mixture of a color with white and a shade is the mixture of a color with black. Again, it takes a value between 0 and 1 to update the value. This can invert the color object. The red, green, and blue values are inverted, while the opacity is left alone. This can mix a given color with the receiver. It takes the average of each of the RGB components, optionally weighted by the given percentage (value between 0 and 1). DynamicColor provides an useful object to work with gradients: DynamicGradient. 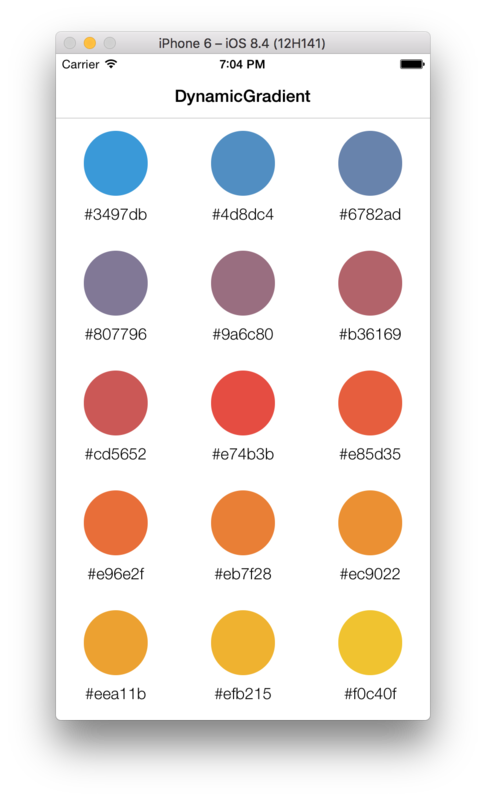 It'll allow you to pick color from gradients, or to build to build a palette using different color spaces (.e.g. : RGB, HSL, HSB, Cie L*a*b*). DynamicColor also provides many another useful methods to manipulate the colors like hex strings, color components, color spaces, etc. To go further, take a look at the example project. You can now import DynamicColor framework into your files. Note that the Swift Package Manager is still in early design and development, for more information checkout its GitHub Page. Download the project and copy the DynamicColor folder into your project to use it in. Contributions are welcomed and encouraged ♡.